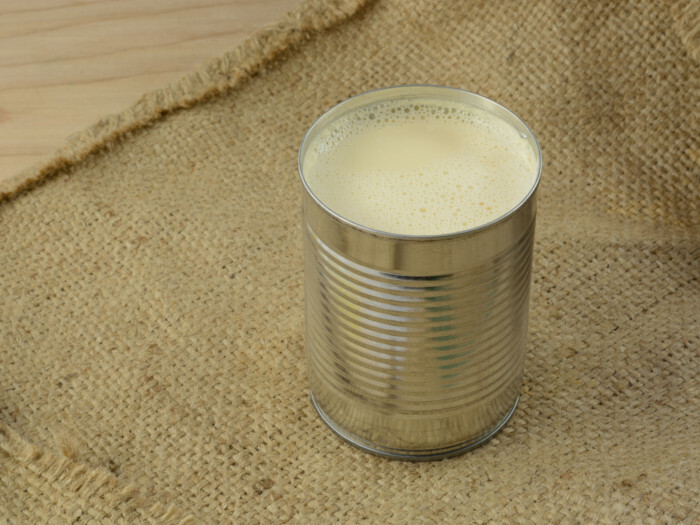 Evaporated milk is a heavier milk with a slightly caramelized flavor. This concentrated milk is cooked by evaporating its water content. 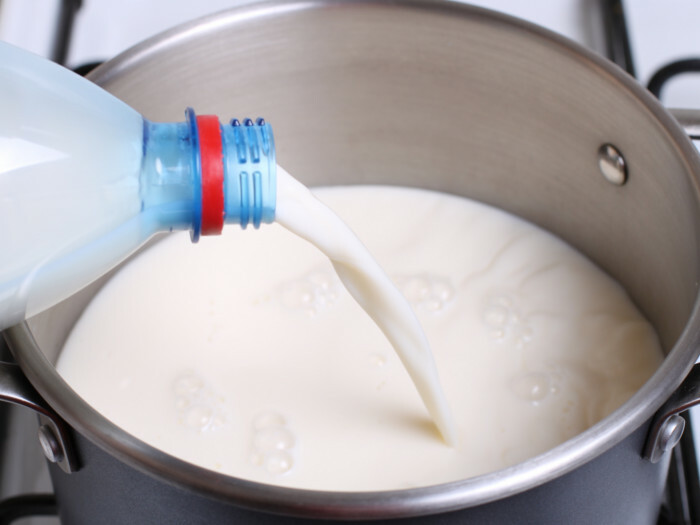 If you are too lazy and wouldn’t want to take the trouble of preparing this milk, you can substitute evaporated milk with a combination of whole milk and half-and-half. To be precise, 1 cup of evaporated milk equals to 3/4 cup whole milk and 1/4 cup half-and-half. However, if the perfectionist-chef in you encourages you to make that evaporated milk then, here’s how you can go about it. An easy-to-make recipe of this essential ingredient of sweet and savory delicacies! Pour the milk in a heavy-bottom saucepan and heat it. Thick base prevents the milk from getting burnt. 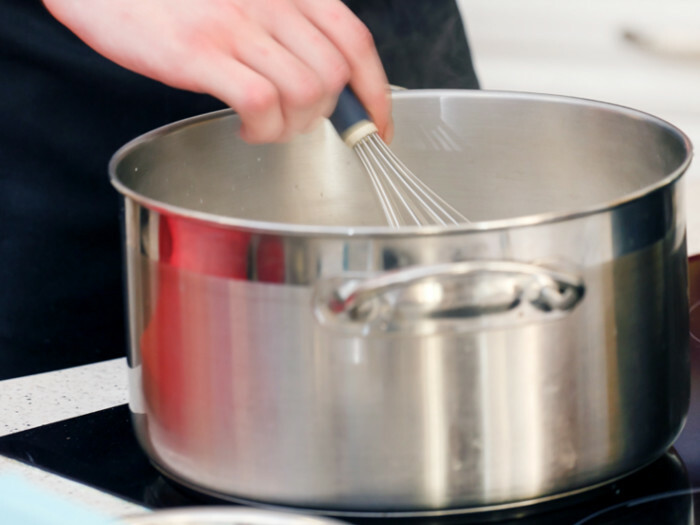 Bring it to simmer and keep whisking the milk frequently to avoid the formation of a skin. If a skin forms, remove it or break it apart, else it will block the evaporation of water from milk. Lower the flame and let it simmer for a few more minutes to hours until the milk is reduced to less than half its original volume. 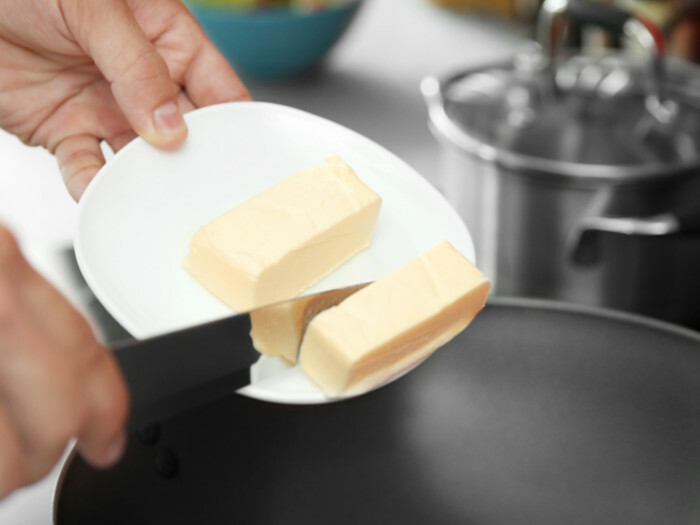 Some milk may stick to the base of the pan, scrap it using a rubber spatula. Turn off the heat and strain the milk into an airtight glass jar. The final product may be light brown or white in color depending on how much you scraped the milk and how frequently you whisked it. 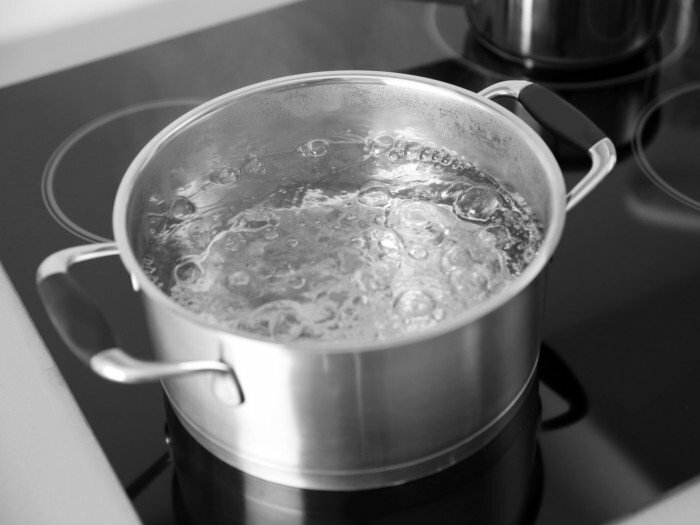 Pour water in a saucepan and bring it to a simmer. If you wish, add butter for a creamier taste and stir well. Add the dry milk powder and keep stirring frequently until it is completely dissolved. Cook the mixture until it reaches the desired consistency. 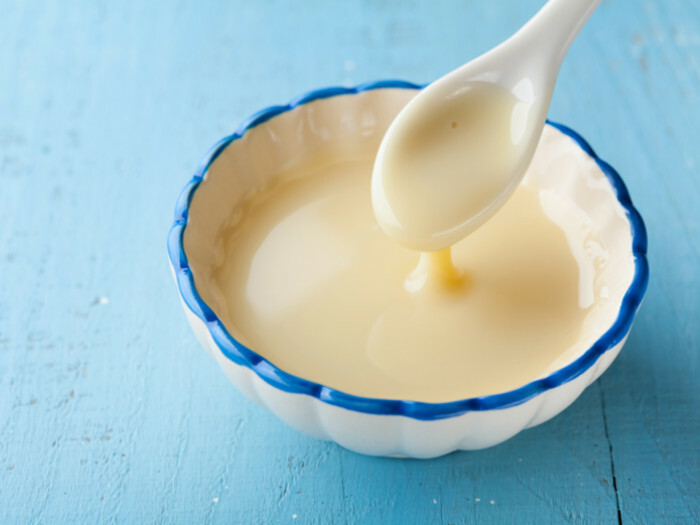 In most cases, it will be ready to use in a few minutes as the mixture is as concentrated as regular evaporated milk. If you need it to be thicker, feel free to cook it for a few more minutes with frequent stirring. Your evaporated milk is ready to use. Since there is less water in the milk now than it was before, the evaporated milk will last a little longer than your regular milk.